After 1,420 years in the grave, St. Columba has had a glorious resurgence this past month. In case you missed the news, featured in many news outlets in the U.K., the location of Columba’s writing hut on the island of Iona may have been found. A team led by archaeologists Drs. Ewan Campbell and Adrián Maldonado of Glasgow University, and funded by Historic Environment Scotland and the National Trust for Scotland, subjected samples of charred wood excavated from Iona 60 years ago to radiocarbon dating analysis—to spectacular effect. The hazel charcoal, possibly from a wattle hut, were dated to the years 540-650 A.D. In other words, contemporaneous with Columba, who died in 597. It is hard to understate the importance of this radiocarbon date. We know from early medieval documentary sources that on Iona Columba had two buildings set aside for his personal use. One was the cell where he slept. The other was the hut where he worked. Adomnán, Columba’s kinsman and hagiographer, described it as ‘his raised wooden hut’, ‘built in an elevated position’ (Vita Columbae, I.25, III.22). In this small building, set apart and slightly above the main part of the monastery, Columba could write in relative peace while still keeping an eye on what was going on down below. Called Tòrr an Aba, the high place of the abbot, it was Columba’s private scriptorium. His man cave, if you like. But while we know it existed, we do not know where it stood. To put it in context, no one has been able to say for sure where, exactly, Columba’s monastery was located. That is, we have our educated guesses, but almost nothing remains from that very first phase of monastic occupation. The dig carried out in 1957 by the eminent archaeologist and historian Professor Charles Thomas helped narrow down the search radius, suggesting that that first monastery lies beneath the current abbey church, as one might expect. As for the Tòrr an Aba, there is a small rocky knoll more or less across from the main door of the abbey upon which a later medieval building stood. Could this be Columba’s Tòrr an Aba? Professor Thomas took samples from there, including the now famous piece of hazel charcoal, and then the artefacts from his dig were shelved in his garage and other places to wait for technology to help out. Earlier this year, technology did. Radiocarbon analysis dated the hazel charcoal to between 540 and 650 A.D., contemporaneous with the earliest monastery on Iona—Columba’s monastery. Since hearing the news, two things have stuck in my mind. The first appeals to the novelist in me. And that is what a great story this is, in and of itself. Imagine it. You’re an archeologist. You love Iona. You specialize in Iona. You hear that a revered colleague, the eminent archaeologist who carried out THE dig on Iona 60 years ago, has artefacts from that excavation squirreled away in his garage (or, to be fair to Professor Thomas, meticulously preserved in his garage). You go, you have a chat, maybe you’re downplaying your eagerness to get your hands on what’s in those boxes. Because you know it could be big. Very big. He takes you out to his garage, pulls the boxes down off the shelf, dusts them off with loving care, gingerly opens them to the light of day—and your eyes alight on the same little object, a seemingly insignificant dusty old lump of charcoal. Because you know, as does he. You know that we now have the technology to get to the bottom of this mystery once and for all. A radiocarbon test, commonplace now, could tell us very easily: did this piece of wattle walling come from a building that Columba might have worked in, helped to build? The second aspect of this wonderful news excites the historian in me. And that is just how good a piece of evidence this is. Think about it. That building, that writer’s studio, could be where Columba conceived of illuminating manuscripts (the Cathach, above, an illuminated Psalter of late-6th or early-7th century date and likely written on Iona, possibly by Columba, being our earliest example of Irish writing, as well as the first example of the art of manuscript illumination which was later to flower in such masterpieces as the Book of Durrow and the Book of Kells, both also products of Columban monasteries). Or where he thought it would be a good idea to start keeping note of important events that had transpired in his immediate political sphere, thus creating what we call the Chronicle of Iona, a core text of a number of later medieval annals which form our main source of information for the early history and society of Ireland and Scotland. In other words, where two of the fundamental genres of early medieval writing and historiography may have been dreamt up. As historians and writers, or simply people who have an interest in the past, we make assumptions about how people lived their days based on the evidence we have to hand. We build up pictures in our minds, and populate them, and animate them, like movies made just for us. And that’s fun, and necessary, but whether our inventions come anywhere close to the truth as it was lived is almost always impossible to say. 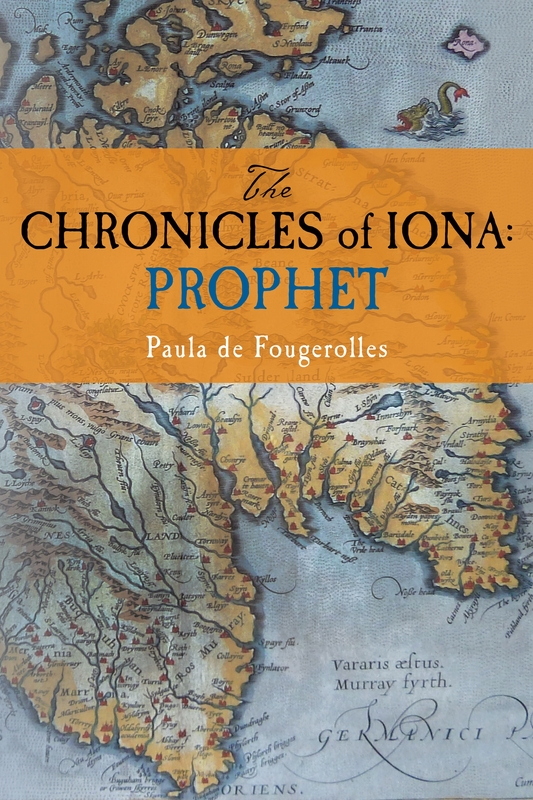 But here we have proof that at the time hagiographical sources, archaeological analysis, and received wisdom tell us that Columba was working in his own private writer’s studio set a little apart from and above his burgeoning monastic foundation on the island of Iona—work that resonates to this day and for which we have much to thank him—he probably was. Great article. Very exciting times on Iona and Lindisfarne at the moment.